Aloe vera and Hashimoto's Disease - Dr. Nikolas Hedberg, D.C. The above compounds explain its anti-oxidant, analgesic, antiseptic, anti-viral, and anti-inflammatory properties. New research indicates that Aloe vera may be extremely beneficial for Hashimoto’s thyroiditis in patients with subclinical hypothyroidism. The study was inspired by an individual with Hashimoto’s thyroiditis who drank 50ml of Aloe Barbadensis Miller juice as a laxative and to soothe her skin. She noticed that after drinking this juice for 3 and 6 months, her TSH, Free T4, Free T3, and thyroid peroxidase antibodies (TPOAb) all improved. Her TSH went from 5.14 to 1.83. Free T4 improved from 8.3 to 11.44. Free T3 went from 5.22 to 4.78 which indicates improved efficiency. And TPOAb decreased from 1,875 to 246. 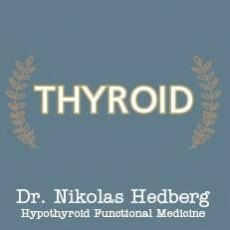 These were quite profound changes with no other interventions and no thyroid medication. Based on these results the authors recruited 30 women aged 20-55 with Hashimoto’s thyroiditis and subclinical hypothyroidism which was defined as having a TSH >4.0 and high TPOAb levels. These women had never been treated with thyroid medication before or taken any supplements for their thyroid issues. All 30 subjects drank 50ml of Aloe Vera Miller Juice (ABMJ) manufactured by ZUCCARI (Trento, Italy) every morning on an empty stomach for 9 months. TSH, Free T4, Free T3, and TPOAb levels were measured at baseline, 3 months, and 9 months. The control group consisted of data on 15 women from a university hospital who had Hashimoto’s thyroiditis and subclinical hypothyroidism. What did the results reveal? The control group did not show any statistically significant changes in any of their thyroid test numbers. At three months the study group showed statistically significant improvements in all four thyroid tests. TSH, Free T4, and TPOAb levels all improved again at the nine month mark. Free T3 levels declined at three months but then did not significantly change from three months to nine months. Why was it good to see T3 levels decrease slightly? Free T3 levels will increase as a compensatory mechanism when Free T4 levels decrease. This is your body trying to balance Free T4 and Free T3 levels. As Free T4 levels increased, the peripheral deiodinase enzyme activity decreased thus slightly reducing the conversion of T4 to T3. Remember that high T3 or high/normal T3 levels have been shown to decrease lifespan due to an artificial stimulation of metabolism. This is why the short-term gain in energy and feeling of more “pep” from T3 may have long-term consequences. The authors state that 100% of patients with Hashimoto’s thyroiditis and subclinical hypothyroidism at 9-months treatment with 50ml/day of Aloe vera juice restored thyroid function and markedly decreased TPOAb levels. They state that these results are possibly better than what has been shown in previous studies which looked at selenium alone and selenium plus inositol for Hashimoto’s thyroiditis. And finally, they conclude that Aloe vera juice rescues thyroid hormone production by reducing inflammation in the thyroid gland and reducing the need for conversion of T4 into T3. This study is quite impressive but the first major weakness is the lack of a control group that consumed a sham product and were told that they were taking it for their thyroid health. The placebo affect can be quite powerful which is why double-blind placebo-controlled trials have some type of sham product such as a sugar pill. However, the improvements on the blood tests for these thyroid markers would be next to impossible to achieve simply through placebo. You’ll notice as written above that Aloe vera is rich in many substances that support thyroid health and immune health such as selenium, zinc, vitamin A, magnesium, b-vitamins, vitamin C, vitamin E, iron etc. These would have reparative properties on gut lining and also protect the thyroid gland from damage. Some of these women may have had low ferritin levels which would have slightly improved from the iron content of the Aloe vera. Since Aloe vera is effective for repair of the intestinal barrier, it would directly address leaky gut (gastrointestinal hyperpermeability) which is a major factor in autoimmune disease. Gut repair is always one of the most important factors in healing Hashimoto’s disease. Taking Aloe vera every day for 9 months would significantly help repair any damage to the GI tract. If some of these women were constipated, Aloe vera’s laxative effective could have potentially decreased excess estrogen levels by improving transit time. Constipation causes recirculation of estrogen and excess estrogen inhibits thyroid function and exacerbates autoimmunity in general. We have no idea what the diet was like of each subject. Were they gluten-free or were they eating gluten? The study is out of Italy where substantial amounts of gluten are part of the diet. If they were eating gluten, these results are almost too good to be true because the aloe alone would have been able to almost completely negate the negative effects of gluten. There are many unknowns here about diet so it is hard to make any concrete conclusions. Lastly, the authors fail to mention the infection connection to Hashimoto’s disease and the fact that Aloe vera is anti-viral against herpes viruses. Epstein-Barr virus and Herpes 6 are both significantly connected to Hashimoto’s disease and these viruses may have been suppressed by the Aloe vera. Some of the improvements we may have seen could be related to decreased viral activity. Do you have to drink Aloe vera juice? Aloe vera juice isn’t the most palatable option and it isn’t completely necessary. Capsules are another way to get the full benefits of Aloe vera which can be taken in a highly-concentrated form. I like the Aloe 200x by Designs for Health. 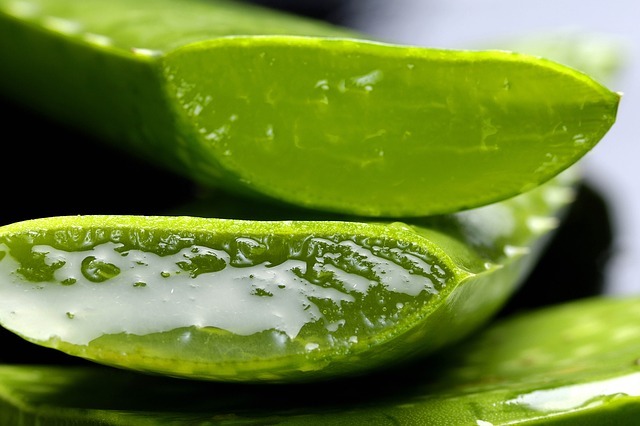 I’m concerned about the use of Aloe vera in patients who are taking thyroid medication. These results indicate that the TSH decreased which may be pushed too low on a follow-up blood test creating confusion with your prescribing doctor. Additionally, if Free T4 increases then some patients may experience symptoms of hyperthyroidism because of the improvements in thyroid function in combination with the medication. This would require a delicate dance and monitoring of thyroid hormone levels on a regular basis if someone were to take Aloe vera. This study shows some impressive and promising results for Aloe vera and Hashimoto’s disease but be sure you are working with your doctor and monitoring your thyroid hormone levels if you are on medication and decide to try Aloe vera for 9 months. ← Does the Ketogenic Diet Cause Hypothyroidism?